If anything, I think the rolling stock is too expensive since the regular Peco stock is a lot cheaper and even has the extra detail of a brake pipe. Despite that, I may pick up a couple of the vans to go with Skarloey, but I'm hoping to find them for a cheaper price than what I'm seeing in current shops that offer pre-order. I hope the prices does drop, because some people will not be able to afford that sort of money for the products. Just a piece of advice here, you can go to post a response to a topic and then press the "insert quote" button to add quotes to your response, it saves the trouble of having to quote about three separate posts individually and post three different responses of your own. OK, thanks Alex. I am still learning with this site! How do you it is out together by hand? Have a look at the pictures and videos at the base of this page; whilst a different model, the same principles apply. Machines are used for printing the decals onto the right place, but ultimately the final assembly is by hand - a machine won't be able to tell if something isn't fitting right. OK, I will have a look at that later. I see that some Locomotives are made by hand, but how do you know that Bachmann Skarloey will be built by hand? Sorry for going off topic here. Can you please stop with muti-posting, quoting almost every single one as whole, and bringing back these threads that are considered outdated? There's nothing wrong with what you're saying. But what you're doing has made the Bachmann Forum a complete mess. It really slowing down the board here. Sorry if I'm sounding aggressive here, but I'm sure alot of people here just like myself are having difficulties using the forums. Alright, I am sorry. I am just interested in some of these Disscussions. I will leave the Forum if you want me too. I didn't mean to mess it up. I am really sorry. What is the price of the Rolling Stock? At retail, each of the rolling stock in the narrow gauge range is $63. Meanwhile I got 3 Peco wagons online for a little under that price alone at ehattons a few months ago. $63 is expensive. I hope they are much cheaper at The Diesel Works than at that price. Ok, I do apologize for sounding like I'm giving a hostile tone. I'm not telling you or anyone else to leave the forums. I didn't mean to make you feel like that. You're giving a decent conversion, you just need to keep your posts from getting cluttered. Keep them organized, no need to quote unless there's like 2 or 3 posts in between, also only quote the specific sentence and paragraph, and merge your posts into one instead of multi-posting. It's also best to try and keep your posts constructive. And there's nothing wrong with reviving a couple threads. But some threads like the Red Coaches, and Ice Cream Wagon have served their purpose because the items are now released, there really would no longer be a need for those type of threads. The more space you clutter up, the more it slows down the forum. OK. I will try not too. Again, I am sorry for what I did. Skarloey Railway Rolling Stock now Released! available to buy now! Wow, I wasn't expecting it to come so early! 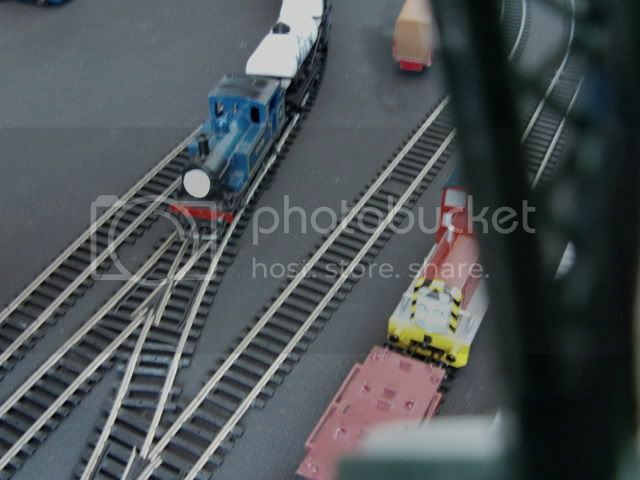 What I can't understand about this, is that if you buy the Narrow Gauge Rolling Stock now, you have no Locomotive's to pull them, so the four items should be released the same time. I know. No doubt Slarloey will be released shortly too.